We think that tourism is not just about what best we can offer tourists, but in today's scenario as a destination management company, it is our duty to practice Responsible Tourism and to spread greater awareness about it. Believing in this, Vasco Travel works on the notion set by Responsible Tourism Society - "Better places for people to live in, and better places to visit". Apart from its "Inspiring Travel Experiences" of unique destinations, the company promises another unique experience which is truly inspiring in itself. This entails inculcating a caring attitude towards the environment as well as providing employment opportunities to local people. Some of the activities that are undertaken by Vasco Travel are the use of hotels that pursue good environmental practices like conserving water and minimising waste. The eco-friendly and caring approach of the company doesn't ends here. Furthermore, it supports schools, orphanages and small organisations that need simple things like pencils, pens, books, toys and clothes for their cause. For this, Vasco has a unique concept called "Fill Your Bag", where it advises responsible travelers to take what is really needed, directly to the people who are in desperate need of it. 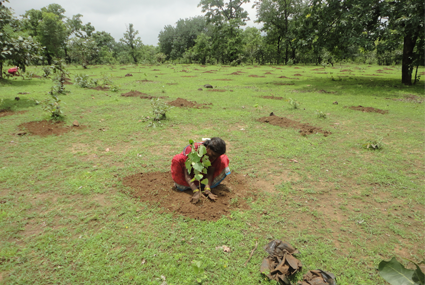 Vasco Travel is a corporate supporter to 'Grow Trees', wherein it plants five trees for each guest who travels with us. A social enterprise, Grow-Trees, provides a platform to individuals or companies to plant trees on public land through the web and offer those trees through co-branded e-Tree certificates. It also allows you to gift a tree in a manner that is convenient and affordable as well as the satisfaction of doing something for the environment. It has around 200 corporate supporters and Vasco Travel is one of them. Another association is with TOFT (Travel Operators for Tigers) for using hotels that have a definite responsible tourism policy or are PUG (Practices Under Guidance) certified. TOFT has developed an eco-rating system for individual lodges and resorts in tiger reserves. Using its rating system to choose where to stay or send clients will ensure a better holiday. Vasco has a unique concept called "Fill Your Bag", where it advises responsible travellers to take what is really needed, directly to the people who are in desperate need of it. In a developing country like India, there are countless schools, orphanages and little organizations that are helping people at grass root level and often they need things that are really simple. Like schools needing pens, pencils and books, orphanages needing toys and clothes. We will let you know what is needed and all you have to do is stuff it in your bag and bring it here. It's very much a two way experience because the joy that you get by giving something that is really needed and changing someone's life in such a simple way is unimaginable. It's just about you and someone who could use your help. You may not be able to change the world at one go but you may change a life. Vasco has been associated with SOS Children's Villages of India, a non- profit organization working for orphaned children and disadvantaged families. Since its inception in 1964, SOS-India has expanded its services for children at a rapid pace. Today it reaches out to thousands of children and families every day, through 39 Children Villages and 122 allied and community projects. The company has been supporting two children in their education for the last six years. Vasco Travel has been consistently aiding these social causes through annual contribution from its gross earnings - a contribution that has been growing every year, thanks to the growing tourists. Our policy for 'Travelling Responsibly' doesn't mean that we compromise quality or enjoyment of your precious time away; we ensure that we help our guests see responsibility not as an ethical standard but as the best sign of a good holiday! Travel in India with Vasco Travel will truly be an eco-friendly and caring experience. Make your holiday count and give it a real sense of purpose and focus with VASCO TRAVEL!